The cooler autumn mornings provide a welcome relief at Towerwater. 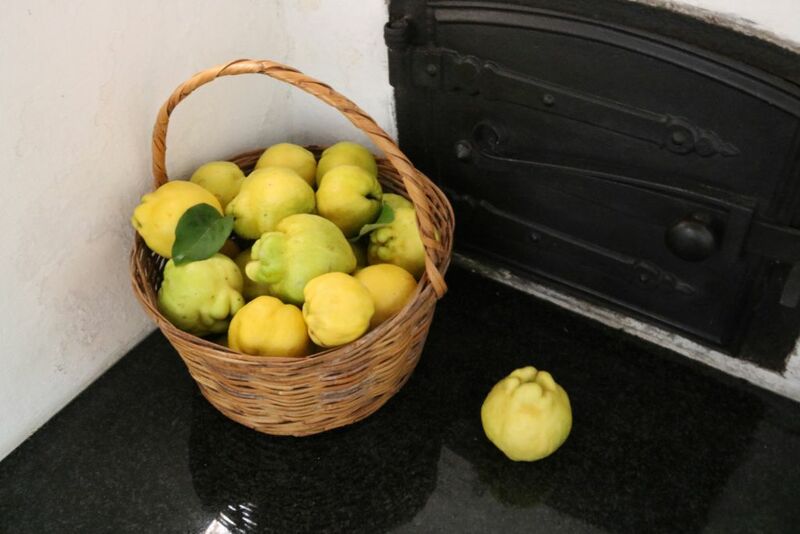 Balmy afternoons are coaching the quinces into a soft yellow ripeness. Lunches on the lawn are veiled in the fragrance of the ripe fruit which in turn are weighing down the branches of the trees with their delicious abundance. It would be marvellous to spend all our days surrounded by their sweet exotic fragrance. But, it is also a sign that the fruit needs to be picked. What to do with basketsful of fruit that speak of ancient civilisations? A fruit that has been prized for its medicinal properties; cultivated in ancient Babylon; while in Greek mythology, deemed sacred to Aphrodite, the goddess of love and fertility. It is rumoured that Greek brides chewed on the ripe fruit to foster a sweet-smelling breath in preparation for the bridal chamber. Nostradamus instructed that quince should not be peeled when cooked as the peel enhances the fragrance. Something I can confirm from experience. The colour of the jelly has been described as “diaphanous as an oriental ruby”. What a beautiful description. 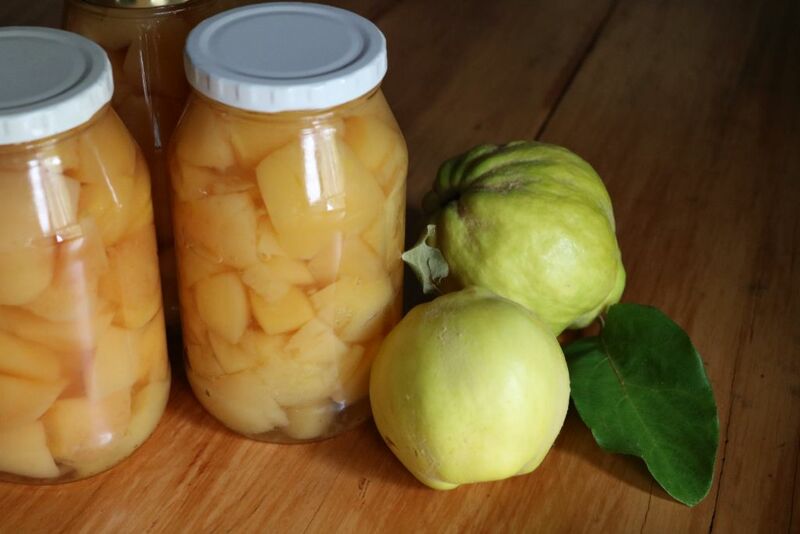 We did not make a new batch of quince jelly this year as we still have enough stock from last season. We decided to make quince preserve, quince cordial and curried quince chutney instead. 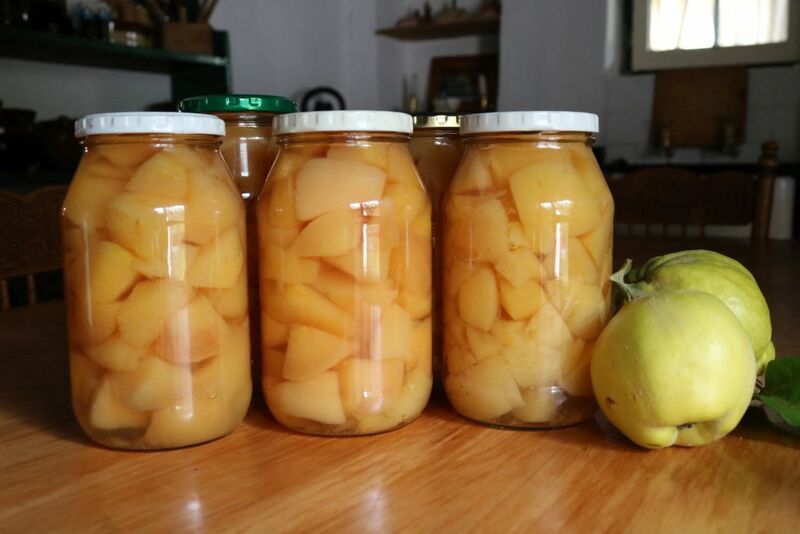 The fresh quinces are being used in stews, roasted as side dishes, and even being made into fresh quince juice. 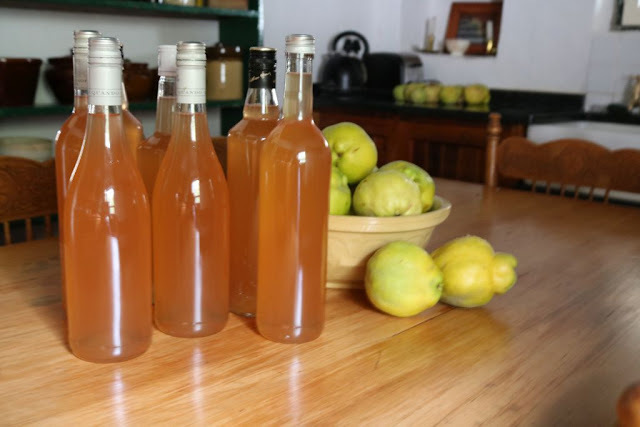 Fresh quince juice has the most amazing yellow colour. However, undiluted I find it a bit too astringent. 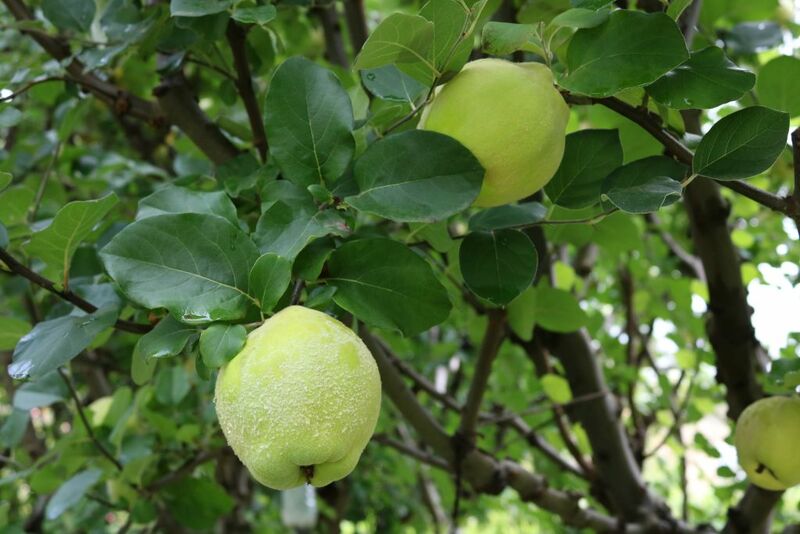 When the quince ripens on the tree to a bright golden colour, it becomes sweet and pleasant to eat. Cooking also brings out the best of the fruit. It is not the easiest of fruits to peel and cut up, but Keith bravely soldiered on through several kilograms of the unyielding fruit. 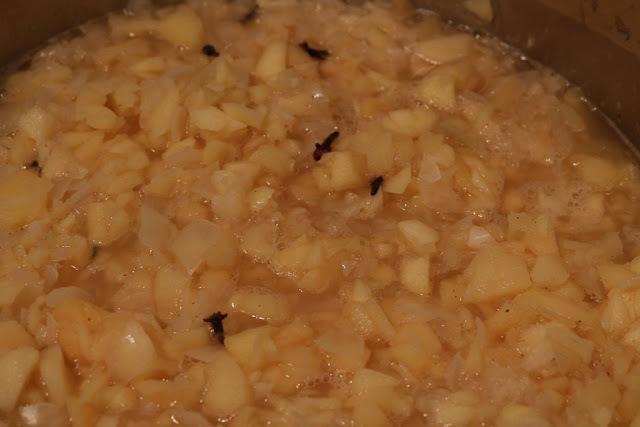 The kitchen became a fragrant space of spices and filled with the sweet intoxicating aromas of the fruit and their juice, peels and pips. A fragrance that lingered for days. And yet, the trees looked as though hardly any fruit had been picked. 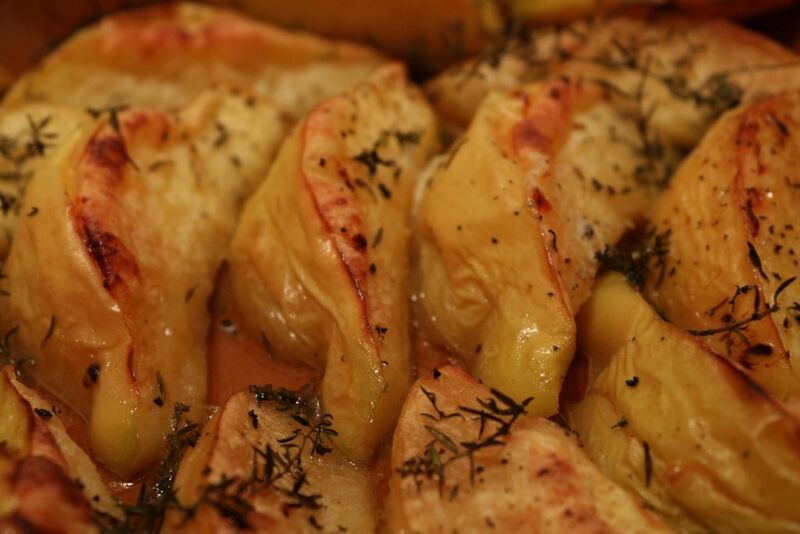 Well, that means back to the cookbooks to find more ways of preparing and enjoying this fruit. It is definitely a fruit that deserves more recognition in kitchens all over the world. The quince is a versatile fruit and we enjoy it in all its many forms. 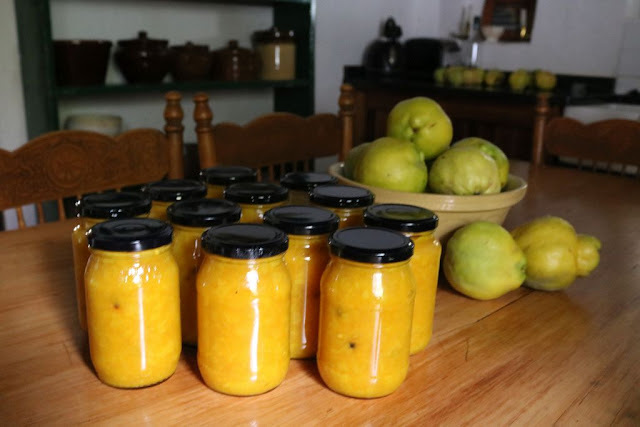 This is confirmed by the jars and bottles of quince jelly, preserves and chutneys on the shelves of the Towerwater cellar. 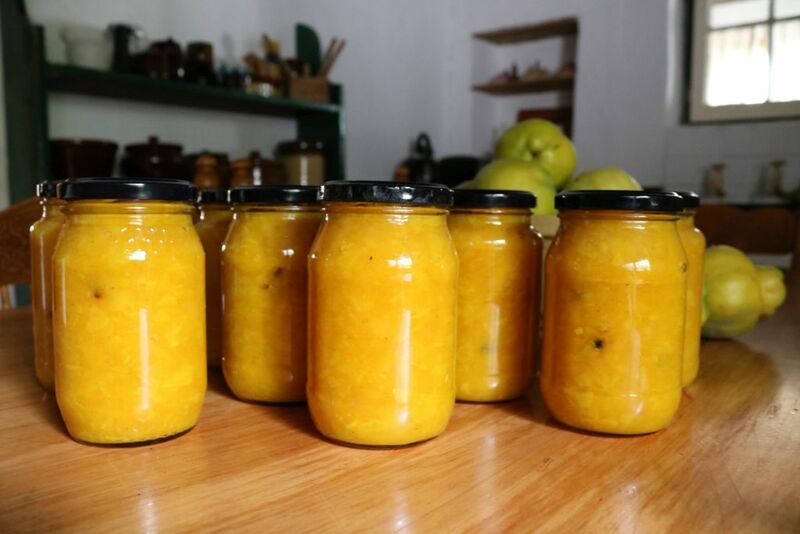 The sensuous yellow fruit in a bowl in the house does not only exude a pleasing fragrance but looks gorgeous too. 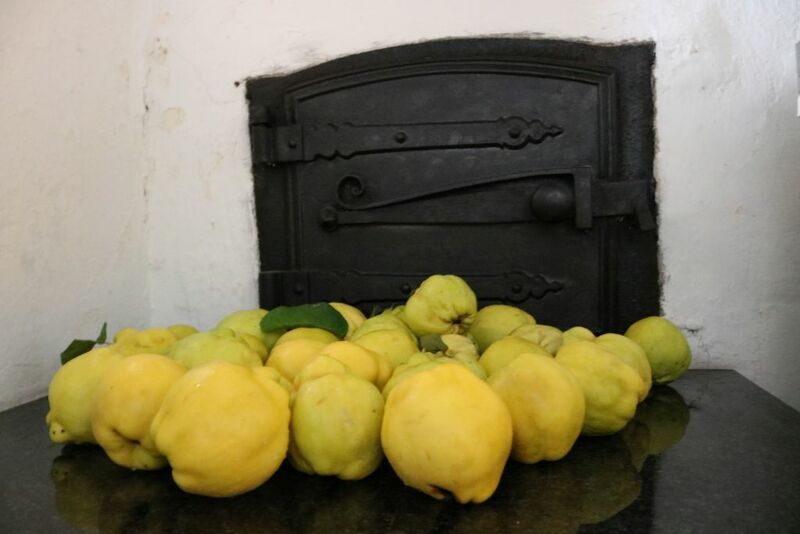 One thing is for certain, when the quinces ripen in the Towerwater garden there is no time for 'quincing'. I had not heard that expression before. Interesting thanks.